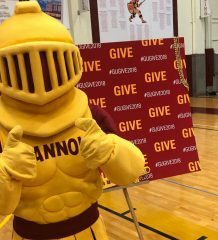 Gannon University students, staff and faculty will lend a helping had once again during the university’s annual Day of Caring event set to take place beginning at 8 a.m. Saturday. 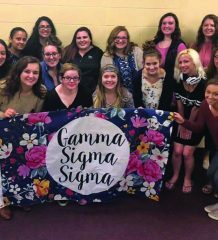 Sara Nesbitt, program coordinator for the Center for Social Concerns, said that Gannon’s Day of Caring is part of the community-wide United Way Days of Caring, an event dedicated to service projects around the area. This year’s United Way Days of Caring will take place April 20-26. Community groups will be participating in more than 30 projects across the county. “I like to think of it as spring cleaning our neighborhoods,” Nesbitt said. Nesbitt said that in the past, United Way has coordinated Days of Caring, but this is the first year Keep Erie County Beautiful has been chartered, so they are co-sponsoring Days of Caring this year. Nesbitt said volunteers from Our West Bayfront will be working in Bayview Park and students will be preparing the Gannon Goodwill Garden, the House of Mercy community garden and the Sisters of Saint Joseph Neighborhood Network community garden for the planting season. 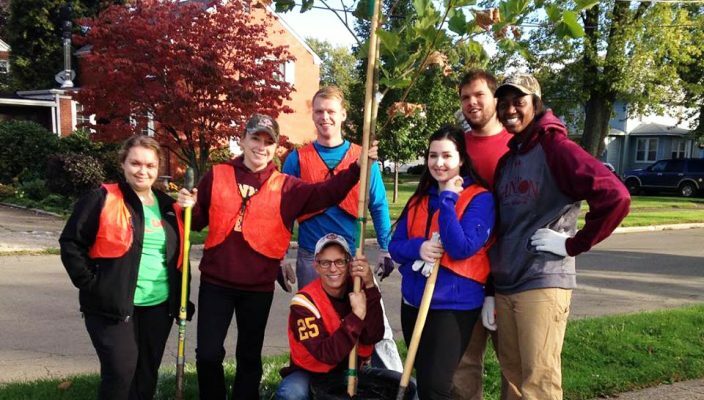 Another project included in the Day of Caring is the last round of care for the TreeVitalize project, in which Gannon students will follow maintenance around the neighborhood and help spread mulch around the base of the trees. There are also multiple projects with various House and Neighborhood Development Service (HANDS) sites including St. Joseph’s Apartments, Maryvale and Villa Maria Apartments. Volunteers will be helping the elderly residents of these apartments stay independent by doing odd jobs like flipping their mattresses. Cleanups will take place at multiple sites across Erie, like at the green space at the Erie Art Museum, the Lake Erie Arboretum at Frontier, the garden at St. Patrick’s Church and the rain garden at City Hall. Projects will also take place at the Martin Luther King Center, where volunteers will help with a number of small projects, like painting and organizing books. The Erie Downtown Partnership in conjunction with the Western Pennsylvania Conservancy and the City of Erie will plant over 200 trees throughout the downtown area. Volunteers will help with light work, such as mulching, watering and back filling. Nesbitt said that Gannon’s Day of Caring is a good way for students to volunteer in their community. Brendan Klemensic, a senior marketing major, is one of the students who will be participating in Gannon’s Day of Caring. Klemensic, a member of the football team, will be helping to get Gridley Park ready for spring and the Our West Bayfront’s proposed farmer’s market in that area. “[The football team] participates in Day of Caring because it’s always nice to give back to the community,” Klemensic said. “It shows that we support them and they support us. Registration for Day of Caring ended April 1, and those who registered received two free Erie Seawolves ticket. The first 400 students who registered will receive a free T-shirt.